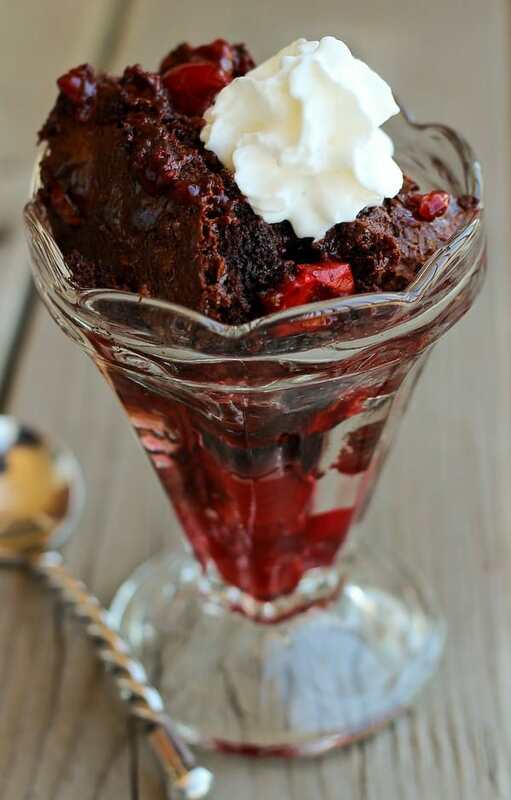 This black forest dump cake recipe is full of cherries and chocolate — just like it should be. But it is unbelievably easy to make. 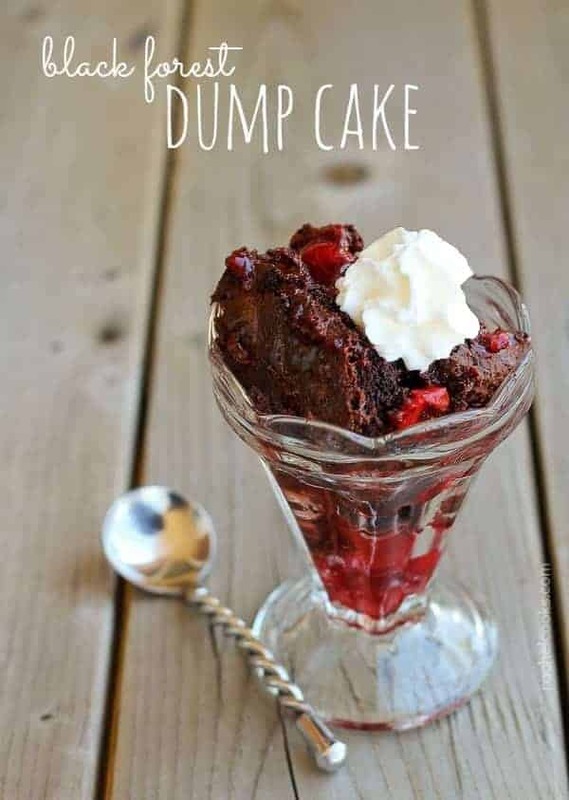 Dump Cake. Quite the attractive name, no? 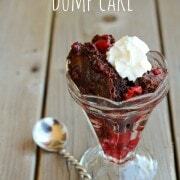 But if you’re familiar with dump cakes at all…you know they are easy to make. And you know I love me some easy recipes! Maybe we can just call it something else. Pour cake? Layer cake? No, that certainly won’t work. Those are fancy and take actual time to make. Okay, so dump cake it is. It’s okay because the taste makes up for the name times a million. I made this cake for my father-in-law’s birthday because black forest cake is one of his favorites. My mother-in-law had given up sugar for lent and my father-in-law only wanted a small piece, and Ben’s not a big fan of sweets so clearly I ate most of this. This, combined with the fact that when I get on the floor to do crunches, my son comes over, sits on my stomach and shoves goldfish crackers in my mouth, is the reason why my stomach is flabbier than I would like. Some day I’ll figure that all out and get with the program. In the meantime, I’ll enjoy this cake. 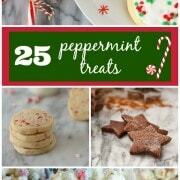 I originally found the recipe on my good friend Kristen’s site. (I featured Dine & Dish way way way back in the early days of my day in the life series if you want to learn more about Kristen.) I went one step further than the recipe that she recreated to photograph for Food.com and added HOT FUDGE. Because hot fudge is always a good idea. If you’re super loving the cherry chocolate combo, you could even whip up a batch of my black forest hot fudge to use in this cake. 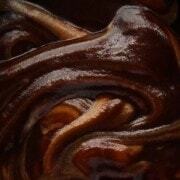 I went the lazy busy lady route and used store-bought hot fudge. With my boxed cake mix and my canned cherry pie filling. YES. Sometimes life is like this. And it tastes really, really, really good. Spread both cans of cherry pie filling evenly into the bottom of a 9×13 cake pan. Top the cherry pie filling with the Devil’s Food Cake Mix (unprepared). Smooth it out slightly to make sure it is even. Drizzle melted butter on top of cake mix. Pour hot fudge over as evenly as possible. Bake for 1 hour and serve warm topped with ice cream or whipped cream. Recipe adapted from Food.com, originally discovered on Dine and Dish. 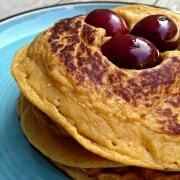 Verdict: LOVED this easy recipe. The hot fudge sauce transformed into this chewy, decadent chocolate layer on the top of the cake. SO good. Husband’s take: Neither of us could really stop eating this cake, despite the lack of sweet tooth on his part. i made this cake and it is some kind of fine. the only thing i did different wa . i did not melt the butter i sliced it thinly and covered the cake with it . thanks for the recipe. Now, this is one heck of a desert! FFR- desserts is stressed spelled backwards. I don’t care what the name is, I’d eat this in a heartbeat!! Drooooollll….that looks absolutely delicious. Thanks for sharing! Looks perfect and simple. I”m so ready for local cherries to pick. Have a wonderful Wednesday Rachel! Oh, dump cake… so gross-sounding, but SO delicious. :) Especially with Black Forest flavors, oh my yum.